In large areas of the Arctic permafrost is thawing due to global warming. This affects the interactions between microorganisms, plants and the soil environment. Center for Permafrost (CENPERM) at Copenhagen University focuses on permafrost thawing in Greenland. 19 million km2 of the Arctic are covered with permafrost; soil frozen for at least two consecutive years. Permafrost stores almost half of all global soil carbon and thawing will affect microbial decomposition of the enormous amounts of organic matter. During decomposition carbon dioxide and methane among other gasses are released to the atmosphere, potentially increasing global warming. 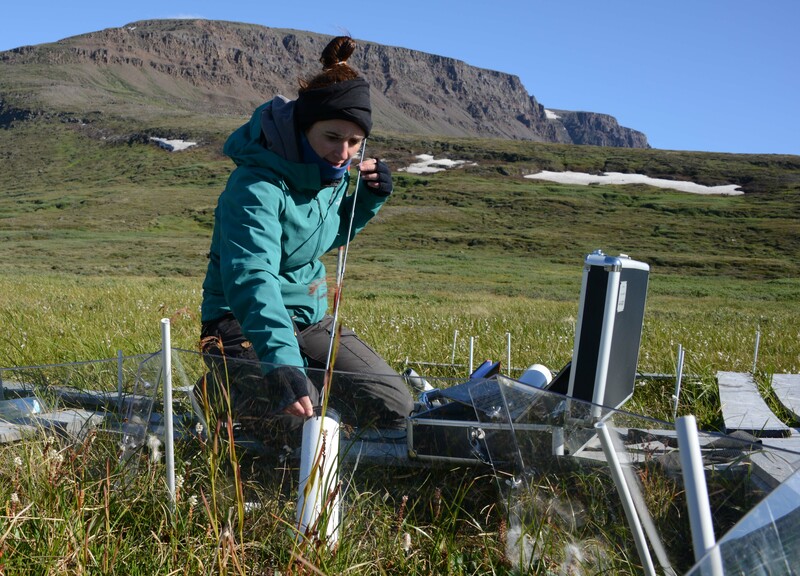 CENPERM takes a multidisciplinary approach and investigates the biological, geographical and physical effects of permafrost thawing in Greenland – in the short and the long term. Our investigations combine field experiments in Greenland under extreme conditions with experiments under controlled conditions in the laboratory, and will provide new insight into the complex interactions between microorganisms, plants and soil when permafrost thaws.